A car dealer who stands accused of conning 35 customers out of tens of thousands of pounds managed to rack up debts of £2.1 million after going bankrupt for a second time. 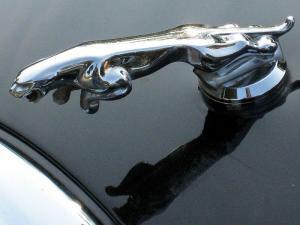 Nicholas Morley, 56, listed and sold used Jaguars on behalf of customers in the Bristol area. However, when the car owners attempted to claim their money after the sale Mr Morley would feign serious illness to delay paying them, a jury at Bristol Crown Court heard. In taking vehicles from people wishing to sell them and delivering them to new owners, an independent car dealer such as this will require a road risks insurance policy to ensure they are covered while driving customers’ vehicles. Getting insurance like this – or indeed any form of motor trade insurance – is going to become substantially more difficult for any individual or business that has a proven history of fraudulent, illegal practices. Mr Morley traded under the name NM Jags and operated on a ‘sale or return basis’. The court heard that vehicles would often sell and the customer would then either not be informed or would be told that the sale had achieved less than it actually had. Prosecutor Michael Shaw said that when customers tried to get the money that was rightfully theirs they were confronted with “a pack of lies”. It was also revealed that Mr Morley, despite his fraudulent practices, had racked up huge debts in excess of £2 million and was declared bankrupt for the second time in 2007. The case is ongoing, the Bristol Post reports.